You can order your repeat prescription on-line - click on the link at the top of this page. Your prescription will be sent to your nominated pharmacy if you choose this option from the drop down list, otherwise you should collect it from the surgery. Should you wish to change your nominated pharmacy, please contact the surgery to advise us accordingly. We ask that you request only those medicines that are listed on the right hand portion of your prescription. These are the only items that have been approved by the Doctor. In certain circumstances the Doctor may request that you be seen prior to prescribing any more medication. On occasion you will also be invited for a medication review – this is simply to ensure that you are on the correct drugs for your condition and that you are not experiencing any problems and is a routine part of your care. Repeat prescriptions will be ready for collection within 48 hours. Please do not telephone to check whether your prescription is ready – this only blocks our telephone lines. Ask your Pharmacist about collecting your prescription from the surgery - it will save you a trip and your prescription will be ready for collection when you go to the Pharmacy - allow extra time when ordering. We will prepare your prescription in 48 hours, but you need to allow time for Pharmacy to collect and prepare your prescription. 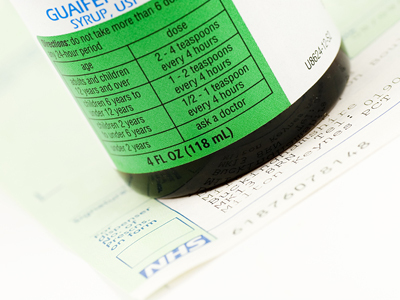 Alternatively, we can post your prescription to you if you provide us with a stamped addressed envelope. Due to strict interpretation of prescribing regulations only GPs can phone prescriptions through to Pharmacies. This will only be done in emergency situations. The Practice is no longer able to phone through routine repeat prescriptions. Please ensure that you order repeat prescriptions in plenty of time so that you do not run out of your medicines. Prescriptions will be ready for collection, after 2 pm on two working days after you place your order. If you have arranged for a pharmacy to collect your prescription, please allow a further two working days before collecting your medication from the pharmacy. If you experience any problems, please telephone the surgery. If you wish to change the pharmacy that will uplift your prescriptions, please attend the new pharmacy and complete the relevant paperwork. The Pharmacy will pass this on to us. We will then make the necessary change to your electronic patient record. Please ensure that you leave enough time for this process to be completed before making a new repeat prescription request.